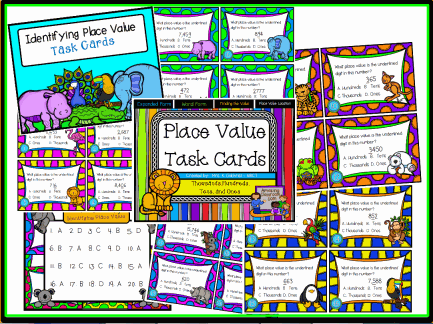 Your students will be sure to learn many place value concepts to the thousands while working through these task cards. There are 80 task cards in all. 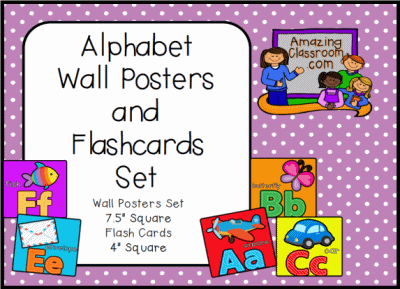 20 task cards for each of the following place value concepts: Word Form, Expanded Form, Identifying the Value of a Digit, and Identifying the Place Value of a digit. I would suggest breaking this set into four individual activities. 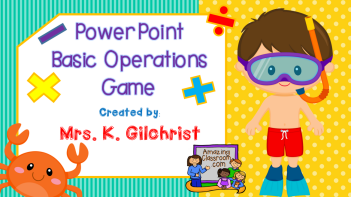 Your students will have so much fun practicing their basic operations with this fun, animated PowerPoint game. 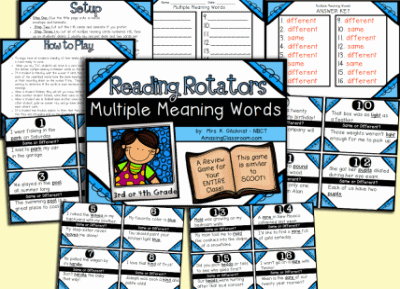 This game features 20 pages of fun interaction for your students. You or your students will read the question, and then as the answers/objects move along the page, your students will click them. If they get the answer correct, they will get some positive interaction. If not, the object/answer choice will disappear. 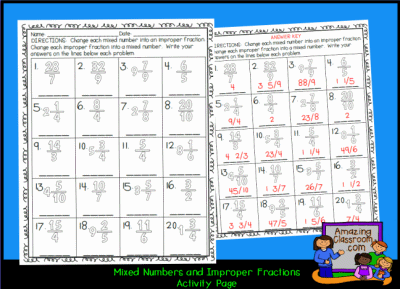 This activity page will give your students practice with changing mixed numbers to improper fractions and changing improper fractions to mixed numbers. 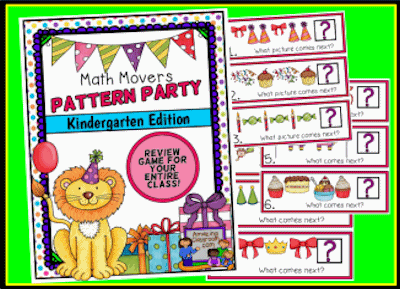 This activity page includes 20 different problems for the students to work out. An answer key is provided for easy grading. Enjoy! 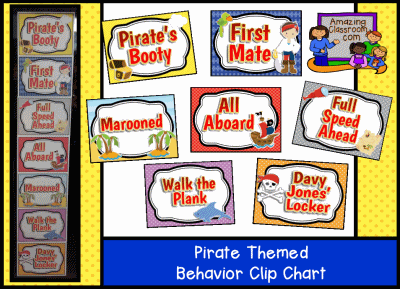 Have fun keeping track of your students' behavior with this cute, pirate themed, behavior clip chart. This file includes seven different levels for behavior: Pirate's Booty, First Mate, Full Speed Ahead, All Aboard, Marooned, Walk the Plank, and Davy Jones' Locker. This file is a pdf format. Enjoy! 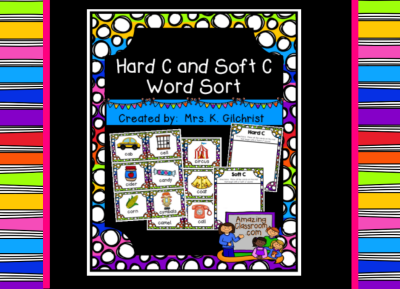 This center or station activity is a great way for your students to learn the sounds of the letter c. This activity features 36 different word and picture cards and 2 game mats.Students draw cards, look at the picture, read the word, and then place it on the correct mat. Just print, cut, and place in a manila envelope and you are ready to go! Enjoy! 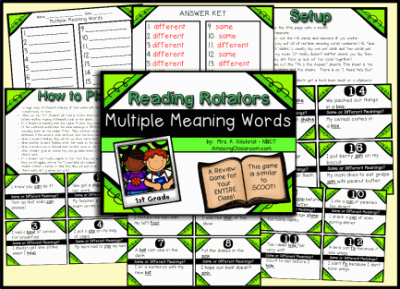 Your students will have fun reviewing the concept of multiple meaning words with this fun, Reading Rotators game. This game is played similar to Scoot. Lay out all 16 task cards. Each card has two sentences. The students have to read the sentences and determine if the underline word in both sentences have the same meaning, or if they have a different meaning. Your students will have fun reviewing their teen numbers with this fun poster board game that they can play independently or in pairs. All you need is a piece of poster board to set it up. This game comes in two versions, color and black and white for easier printing. Answer keys are provided so students can check their own work. 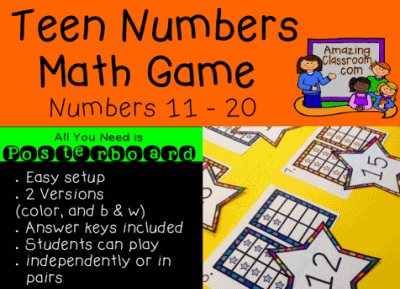 Use this fun game in math centers or stations for students to practice their numbers 11-20 using ten frames. Enjoy!